I know introduction to SNC is no need to anyone, mostly we all aware of it but in case some new bloggers may not know the event, so briefly I will tell about this challenge. 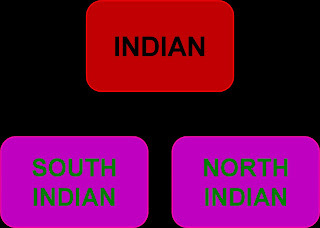 BENEFITS - You can learn new and authentic regional recipes from India... and Get points for taking challenge. 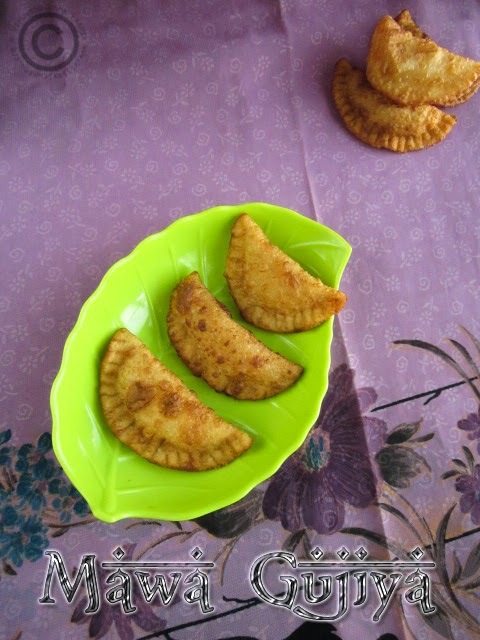 As I am from southern team, so have to prepare the mawa gujiya. 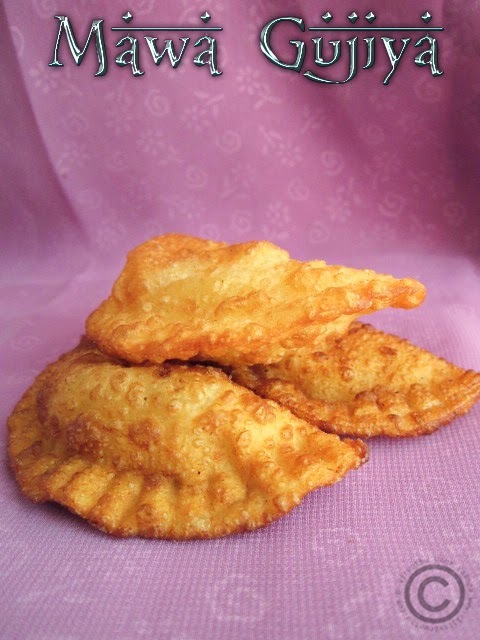 We used to taste the gujiya from local bakeries here. 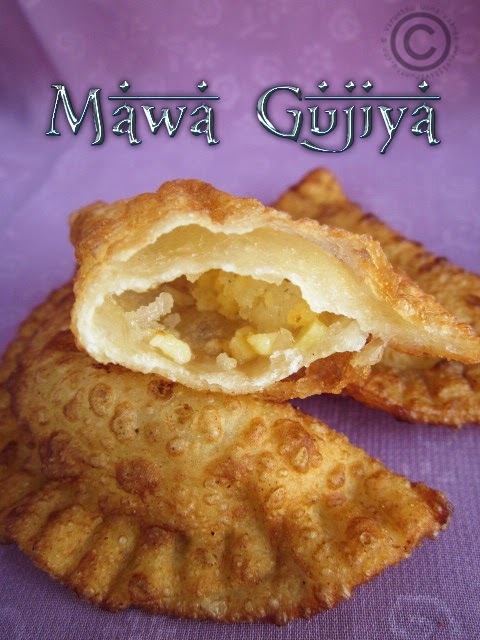 But after sometimes, I really dislike the gujiya which was really bad in taste. So we did not buy it again. 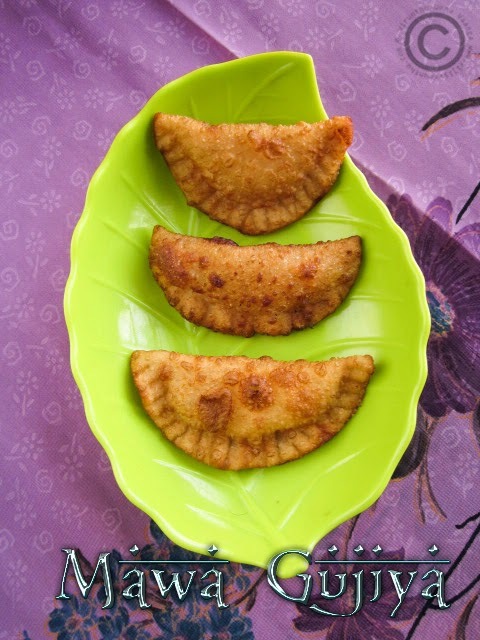 After seeing the gujiya, I tempted to taste it and no further delay, I prepared it and it came out really very well. 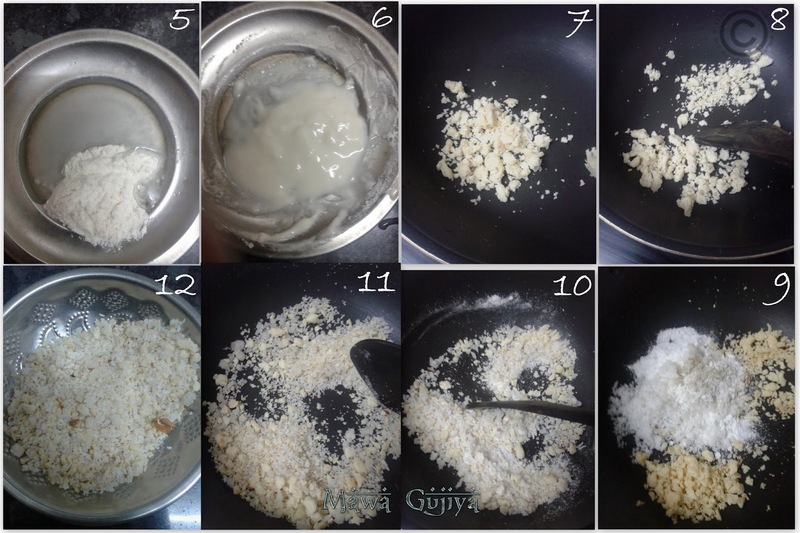 In my place, ready-made khoya is demand and not enough time patience to make it at home, so I prepared instant mawa using milk powder and continue the process and it really tasted awesome. 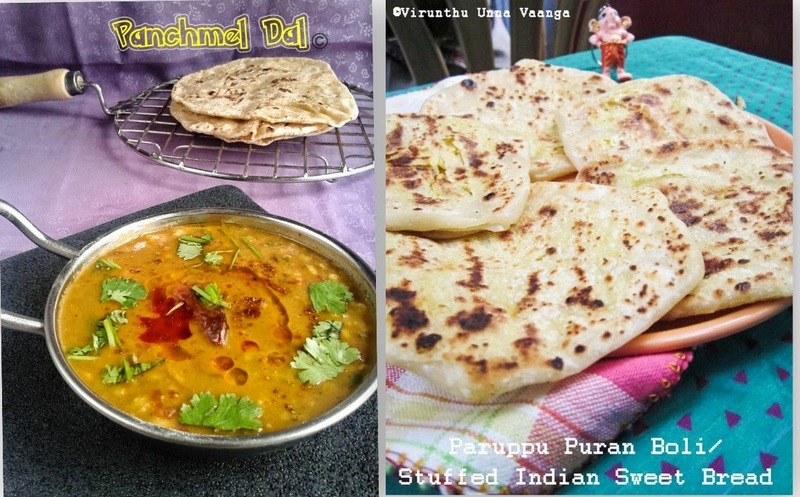 I also post the recipe for Let’s Brunch on Sunday which is conducted by +Priya and +veena akka on every 2nd and 4th Sunday. Take the maida in a wide bowl, and add hot oil, rub with your fingers and mix it well. Pour enough water to knead the dough smoothly and cover it with kitchen towel for an hour. 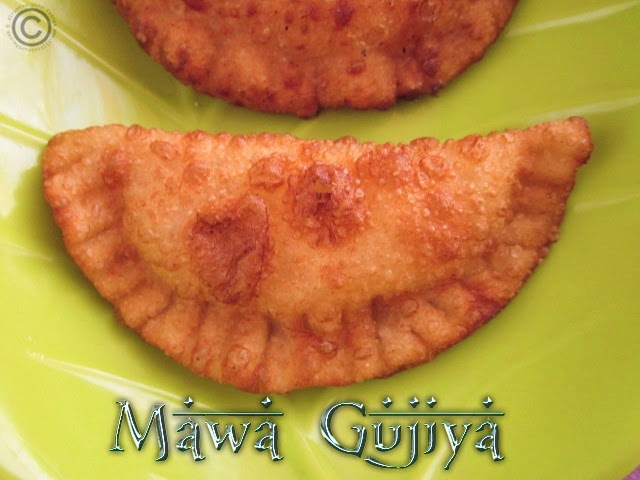 Mix the 1 Tbsp of maida and water together into a paste to seal the gujiya later. 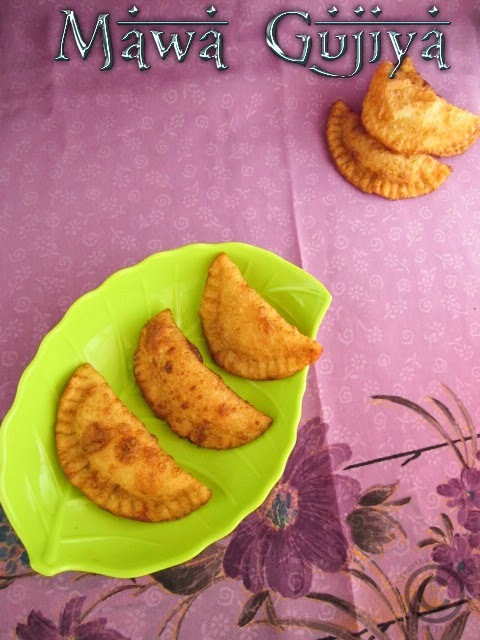 Heat a pan; add khoya to the pan and fry it till turns golden brown. Then add grated coconut, almond flakes, cardamom, sugar and mix it well and keep it aside. Now take the maida and divide into equal balls, and keep it on dusted flour counter top, and then roll it thinly by using rolling pin. Cut into circle shape by using any lid or round ring, to get equal shape. Place enough filling on center of the dough and apply the sealing on one side of the circle. Fold and seal it tightly, use fork to seal it and press it tightly. Meantime, heat enough oil in pan for deep fry. 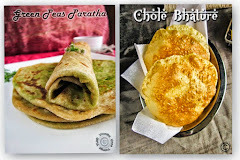 You can use fresh made khoya/mawa or store bought one too. 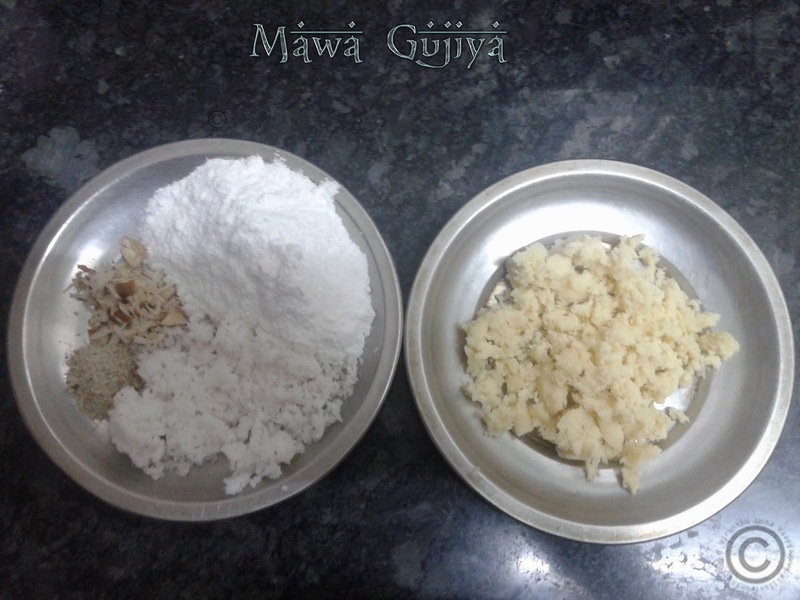 For instant mawa/khoya recipe, refer the link I have given. 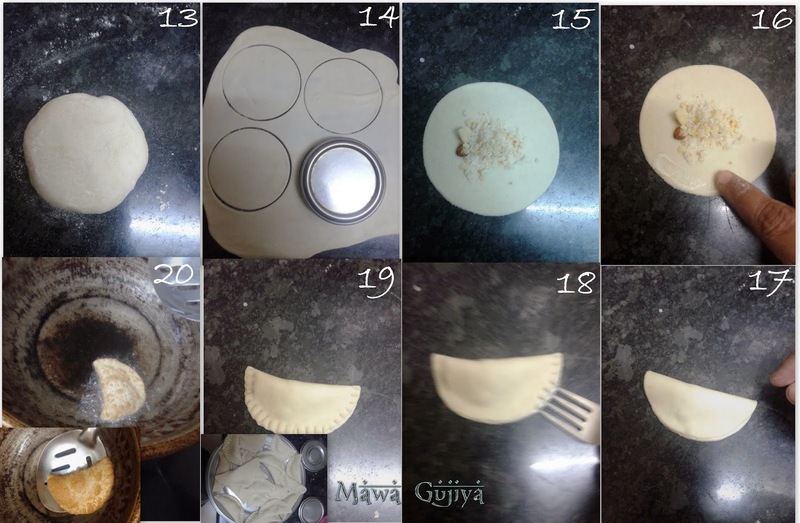 You can store the gujiyas for a week in air tight container. I didn’t add raisins, if you like you can add it. 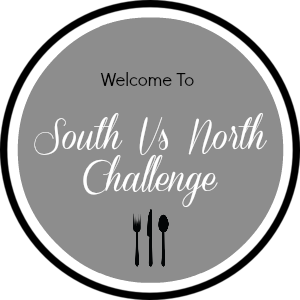 LINK TO SNC AND SANTHOSH'S SPACE!!! Thanks Divy (Divya Pramil) for given opportunity to take part of this wonderful challenge. Those look very sweet and delicious. Too tempting! 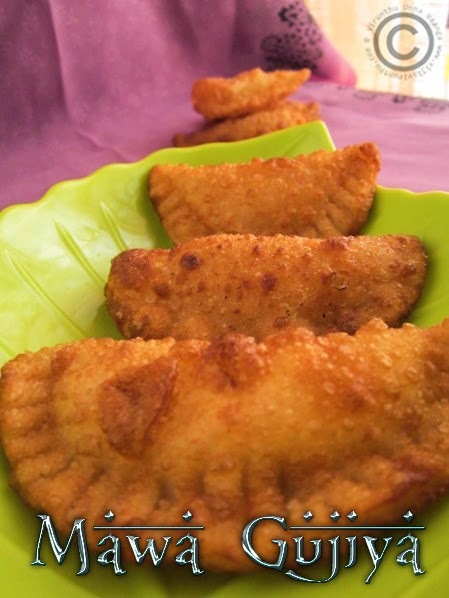 Such a terrific gujiya na, one cant stop just with a gujiya,let me tell u a secret i had three gujiya within few minutes..
Gujiyas have come out well, looks delicious..
looks delicious. 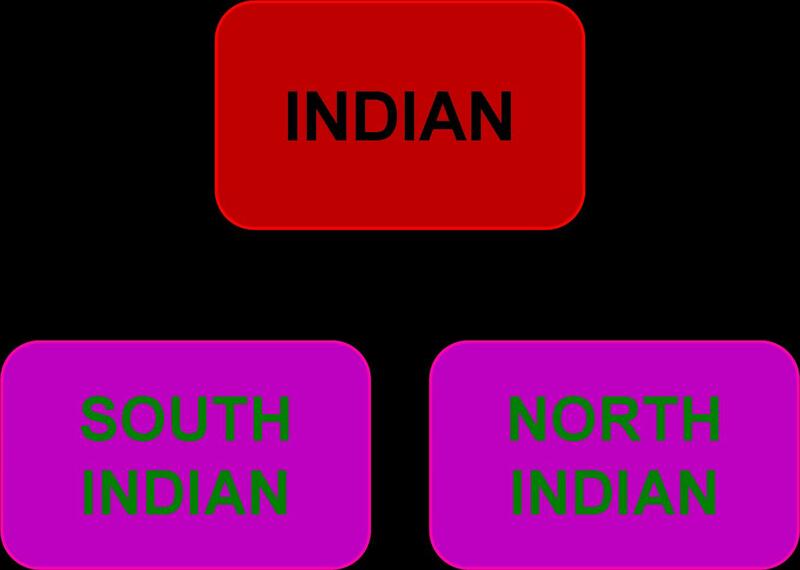 well explained with lots of pictures.